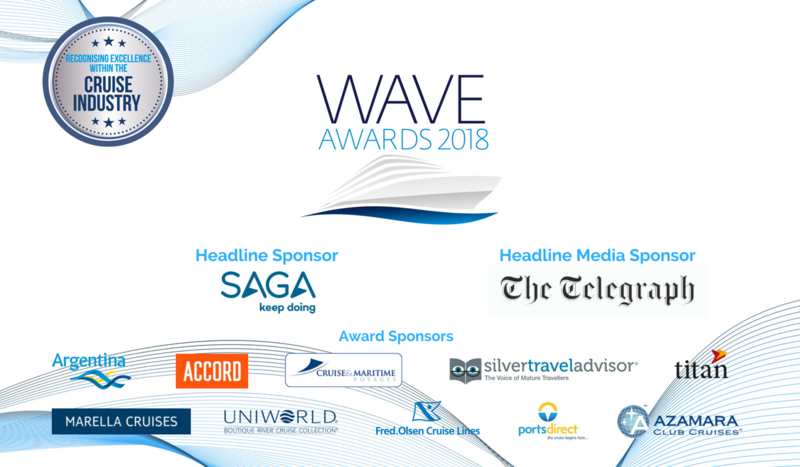 The shortlist for The Wave Awards 2018 – the most prestigious awards event in the cruise industry – has been revealed. The hotly anticipated list is filled with top cruise lines, agents and destinations – and represents the best of the best of the industry. The winners will be announced in a glittering ceremony at the De Vere Grand Connaught Rooms in London’s Covent Garden on March 1. Cruise fans have also been voting for their favourite cruise lines, cruise agents, cruise bloggers, and cruise destinations in the Passenger Favourites section of the awards. Please click here to cast your vote and be entered into a prize draw to win a 7-night Mediterranean cruise for two. The final deadline for casting your vote is the 31st of December 2017. The Wave Awards are owned and run by Real Response Media, publishers of World of Cruising, Cruise Trade News and Cruise Destinations. Saga is the headline sponsor and The Telegraph is the headline media sponsor.